Other than that, they have skin grooves that are similar to fingerprints, coarse hair, and small heads with hairless faces. 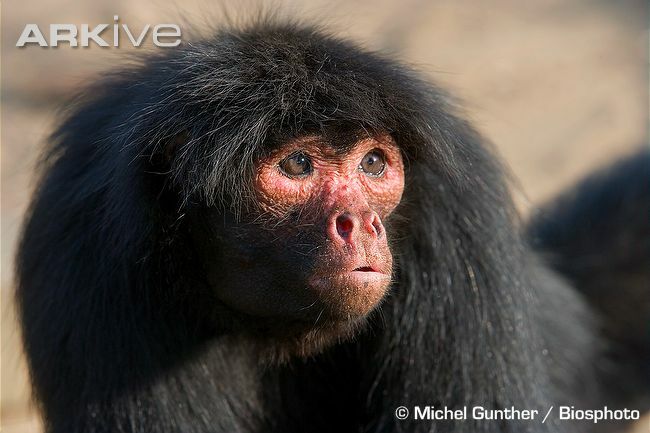 Their nostrils are also pretty far apart, which is a unique feature of the spider monkey. Another characteristic is that they are incredibly agile, and are second only to the gibbon monkey in terms of agility. The spider monkeys live in the upper layers of the rainforest and find food in the high canopy, which is about 25 to 30 meters above the ground. They are mainly herbivores, as they prefer fruits but they do sometimes eat leaves, flowers, and insects. They are social animals, and live in bands of up to 35 monkeys, however they will all split up to forage for food during the day time. A recent analysis on primate cognition studies showed that spider monkeys are the most intelligent monkeys from the Central and South American region. In fact, they can produce a wide range of sounds such as barking when threatened by humans, a horse whinny, and sometimes even prolonged screams. When a monkey is approached, it climbs to the end of the tree branch that it is on and shakes it hard to try and scare the threat. They are so smart that sometimes they ‘drop’ a tree branch on humans who continue to advance. Some may also pee and defaecate on the intruder after this. 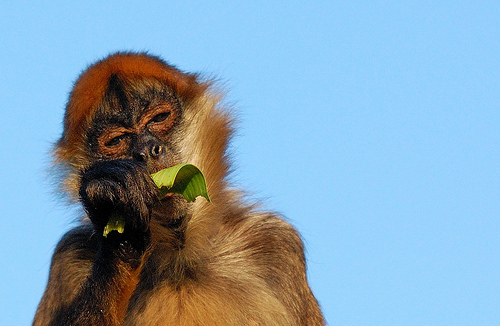 Sadly, the population of the spider monkey is decreasing. The IUCN Red List lists one of the spider monkey species as being vulnerable, four of them as endangered, and 2 of them as critically endangered. 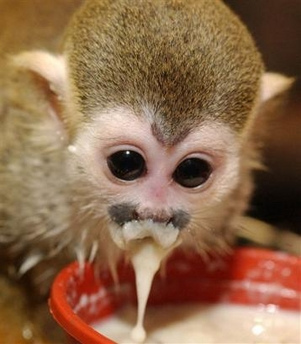 Spider monkeys are an important food source due to their large size, and are therefore hunted by human populations. 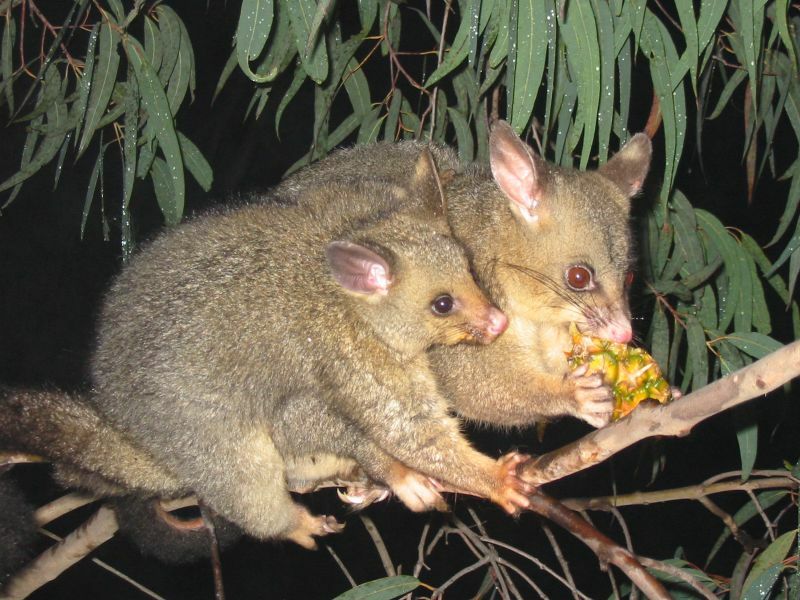 However, they are also threated by clearing of their habitat from logging and land clearing. The top pic is not a spider monkey, it is a squirrel monkey.